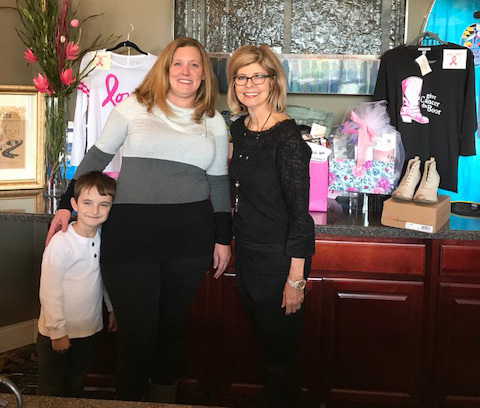 For the past 21 years, Carol Withers and staff have arranged this special event in honor of Carol's mother, Elizabeth Chaney, who passed away from breast cancer in 1995. 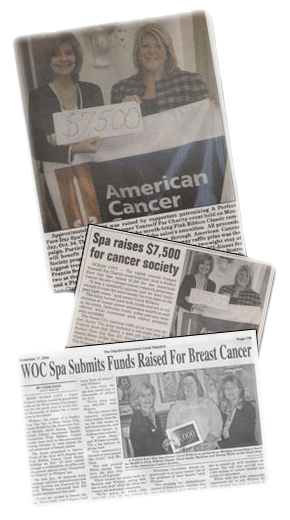 Our hope and mission is to continuously help to provide a way to cure breast cancer. 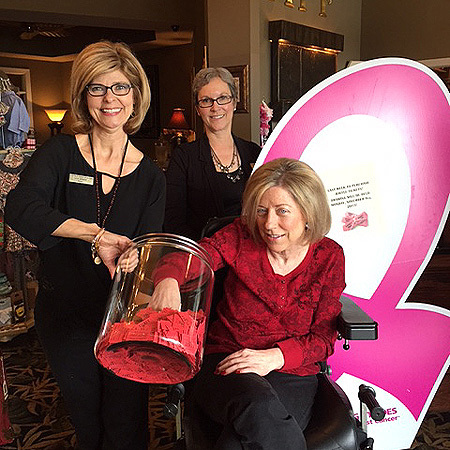 21st Annual Pamper Yourself for Charity Raised $6, 506. 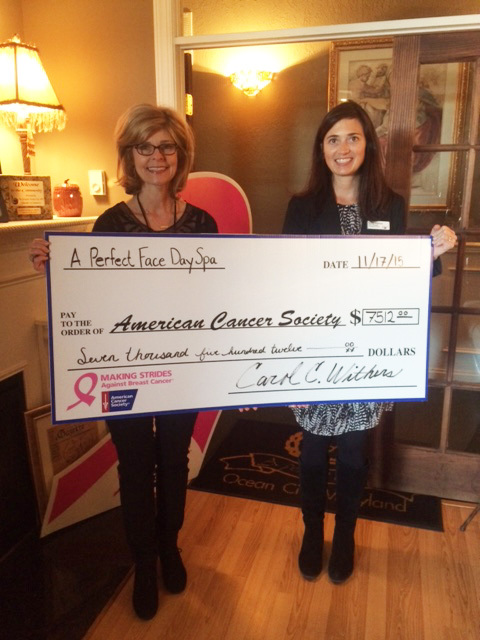 Carol presented a check on Gift Giving Day, November 27th to Mary Bellis from the American Cancer Society. Thank you for another successful event. Congratulations to the Winners, Dawn Toner, Ruby Mirza, and Mary Sauter. 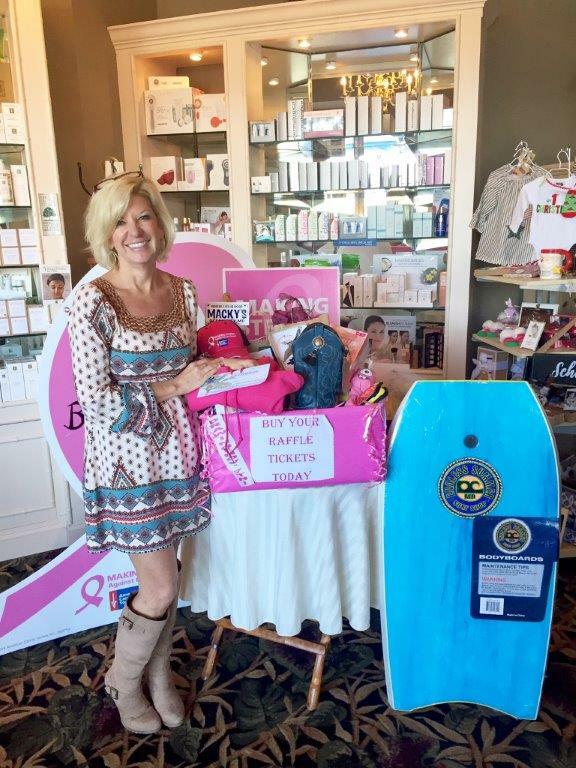 The winner of the 2017 Pamper Yourself For Charity Raffle is Bonita Wells. We raised $7445! A Big “Thank you” to all our supporters. Whether you purchased raffle tickets, donated toward the prize package, or spread the word to increase our ticket sales... our GRATITUDE is beyond words! 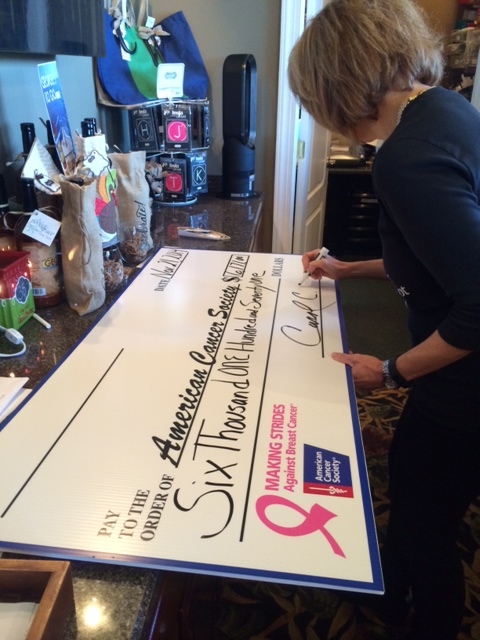 The American Cancer Society is the true winner with $8,150 being donated due to YOUR generosity. We're happy to congratulate Krissy Wheaton of Berlin for being the lucky prize package winner! Valued at over $3,700, this was truly a superb compilation from multiple individuals and businesses who went above and beyond to help our cause. Once again... Kudos to all! For the past 18 years, Carol Withers and staff have arranged this special event in honor of Carol's mother, Elizabeth Chaney, who passed away from breast cancer in 1995. This year we would like to include our special friends and clients who are facing this difficult battle. Our hope and mission is to continuously help to provide a way to cure breast cancer. Left: Winner, Kathy Hewitt Of Bishopville, MD. Right: Carol Withers presents check to Jessica Peterson, Senior Manager Community Events from Greenbelt, MD. We raised $7,512 dollars! Congrats to the Winner, Kathy Hewitt! Thank you to everyone who participated in making this another successful event! 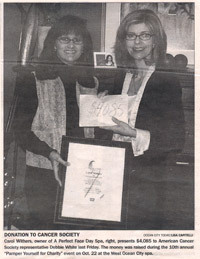 Left: Carol Withers, Owner. Right: Carol Withers, Sue Ott, Daria Henry. 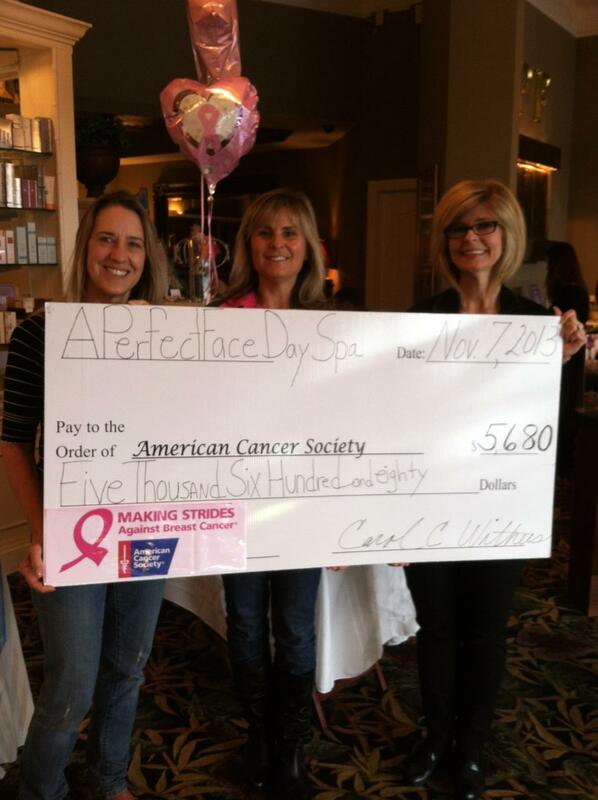 Congratulations to our "Pamper Yourself for Charity" winner... Randy Brinker "Cancer Survivor" of Berlin! MANY thanks go out to all of the businesses and individuals who donated to the cause, and ALL the patrons who purchased tickets & helped us exceed our goal. 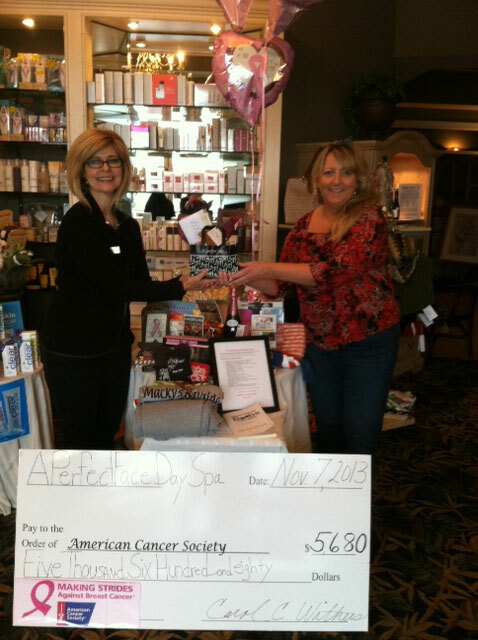 A total of $6171 was raised for the American Cancer Society. Thank You -- Thank You -- Thank You! The Winner of our 2013 "Pamper For Charity" Raffle was Billie Terrones! A Perfect Face raised $5,680 this year. This is an increase of $1060 from last year! All proceeds to benefit the American Cancer Society. Congratulations Billie! A special thank you to Joanne Harvey for picking the winning ticket at the spa. Thank you to all of the local businesses that donated Gift Cards and merchandise to make our event such a success! Thank you to all the wonderful clients and the community for supporting a very worthy cause. This year was very touching to my heart not only to honor my mother Elizabeth Chaney who lost her battle with breast cancer in 1995, but the recent passing of my very special "Aunt Weeby" (Louise Crum) of Catered Living in Ocean Pines. Thank you for all your support and kindness for this event. 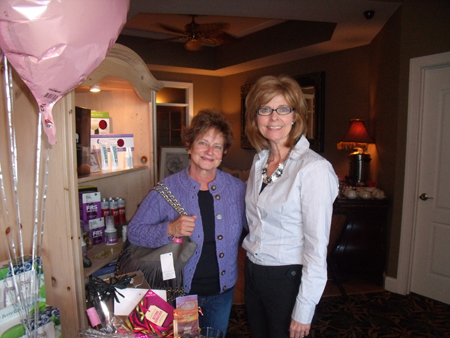 The Winner of our 2012 Pamper For Charity Raffle was Dede Smith. A Perfect Face raised $4,620 this year. This is an increase of approximately 10% over last year! Proceeds to benefit the American Cancer Society. Congratulations Dede! A special thank you to all of the local businesses that donated Gift Cards and merchandise to make the event such a success! Pictured Left to Right: Sophia Drakos, Maria Drakos,and Carol Withers (Owner - A Perfect Face Day Spa). Pictured Left to Right: Dede Smith and Carol Withers (Owner - A Perfect Face Day Spa). 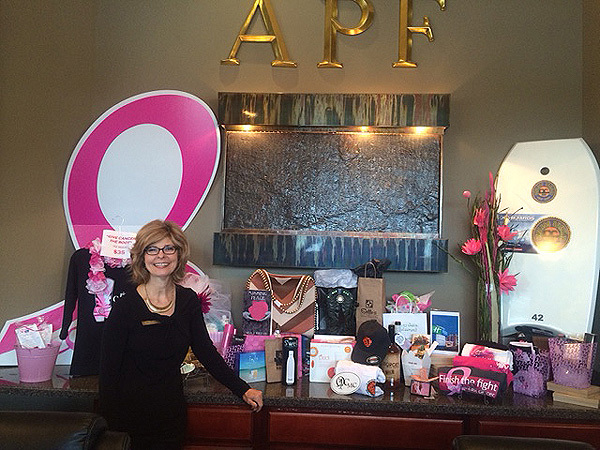 The Winner of our 2011 Pamper For Charity Raffle was Robin Wolinski of Ocean Pines. 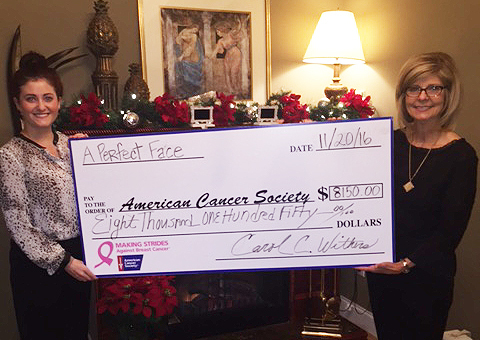 A Perfect Face raised $4,250.00. Proceeds to benefit the American Cancer Society. A special thank you to all of the local businesses that donated Gift Cards and merchandise to make the event such a success! 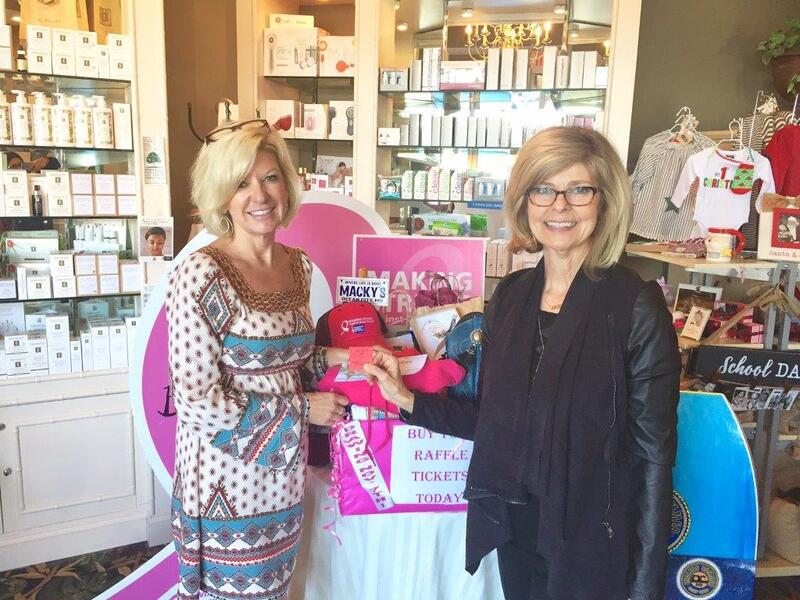 Pictured Left to Right: Robin Wolinski (Raffle Winner), and Carol Withers (Owner - A Perfect Face Day Spa). 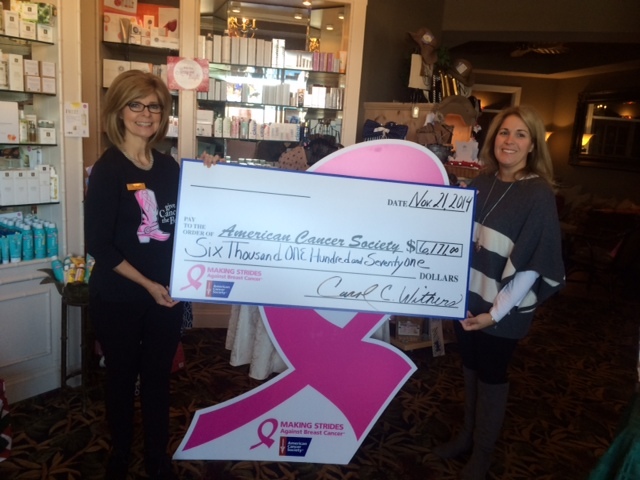 Carol Withers has become a leading advocate for the American Cancer Society in her community. Now trained and certified, Carol is able to assist people recovering from cancer feel more comfortable with their appearance and the changes they are going through as well as educate the community on preventive measures they can take in order to deter this deadly disease. Carol continues to search for new and innovative ways that she can help in the fight to find a cure for cancer. Carol looks to further her education with the American Cancer Society in the hope to be able to provide more services for her community. Carol invites everyone to come to A Perfect Face for our annual Pamper for Charity event held the 3rd Monday in October. 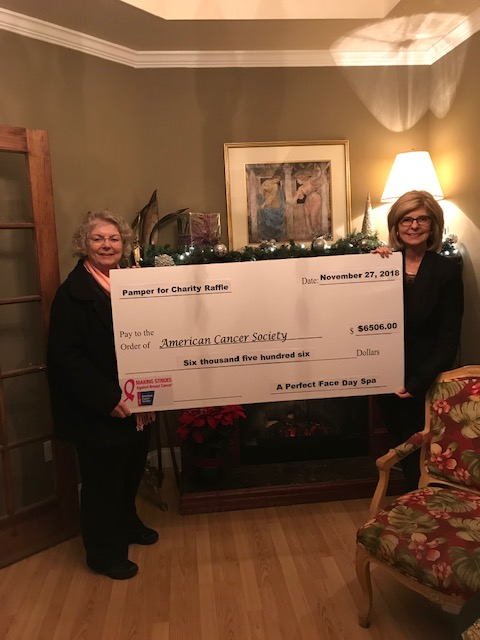 Carol is always looking for other ways to give back to her community and welcomes the opportunity to educate on behalf of the American Cancer Society. Thank you for your generous hair donation! Your selfless act of kindness will benefit a Locks of Love recipient and change their life for the better. Most of our recipients suffer from an autoimmune disease called alopecia areata, which has no known cause or cure. Other recipients are cancer survivors, victims of trauma such as burns and rare dermatological conditions that result in permanent hair loss. Your donation of hair will help return smiles to the many varied faces of our children. On behalf of those children, their families and the Board of Directors. 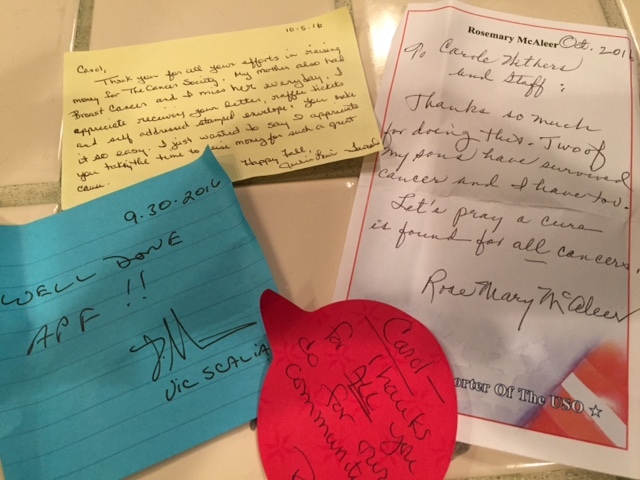 THANK YOU - YOU MADE A DIFFERENCE!